India – the fastest growing smartphone market in the world is also the home to the largest number of Opera Mini users in any country. According to the ‘State of the Android Mobile Web’ report released by Opera Software, most of the Indians buy a phone costing less than Rs. 10,000. The report also finds out that more and more feature phone buyers are looking forward to buy an Android smartphone. Who doesn’t know about Opera Mini? It’s been around since many years. I have been using it since I owned a Nokia feature phone, and now that I have multiple browsers installed on my Android phone, Opera Mini is one of them. One just can’t run away from Opera Mini after using it once. The report cements this fact and mentions that the Opera Mini user base has witnessed a growth of 25% over the last year. The smartphone shipments to India have increased by 120% whereas Android smartphones sales have boosted by 160%. About 77% of the Opera Mini Android users own an entry-level smartphone costing Rs. 10,000 and below. This hints to the fact that these low-level and affordable smartphones are becoming highly popular in India. A similar phenomenon was observed when Moto E and Redmi 1S were launched on flipkart. 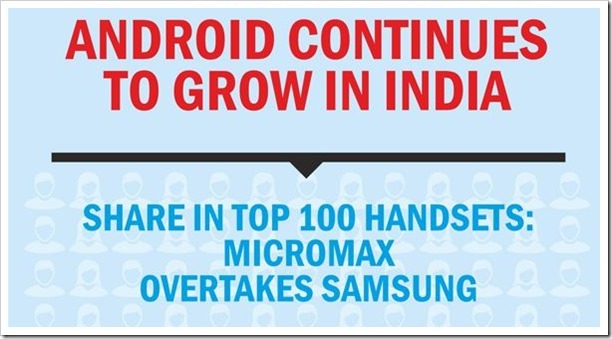 Micromax leads Samsung in top 100 Android phones in terms of sales. But when it comes to top 10 Android smartphones, then Samsung mobiles are the preferred choice. 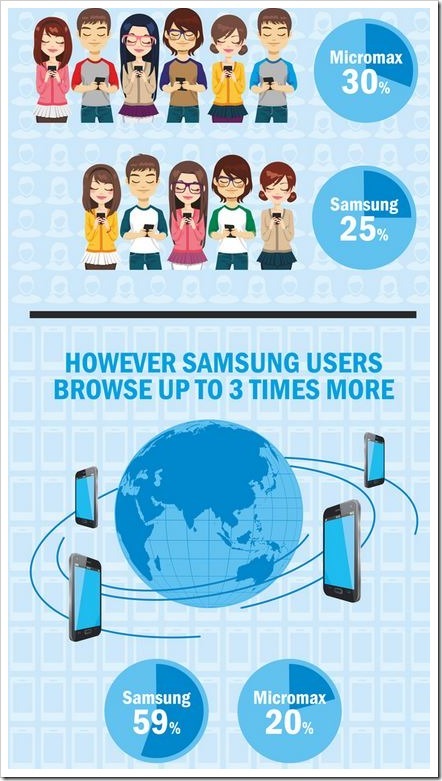 It is also interesting to note that Samsung users consume more mobile data than any other Android phone users. This concludes that those who buy expensive phones spend more time on the internet than those with entry-level Android phones. This is considering the fact that Samsung phones are more expensive than their local-branded counterparts. Unsurprisingly, most of the internet users spend more time on Facebook than any other website. According to the report, 7 out of 10 webpages browsed by Opera Mini users are from Facebook. Pages browsed on shopping websites grew by 356% over the last year. 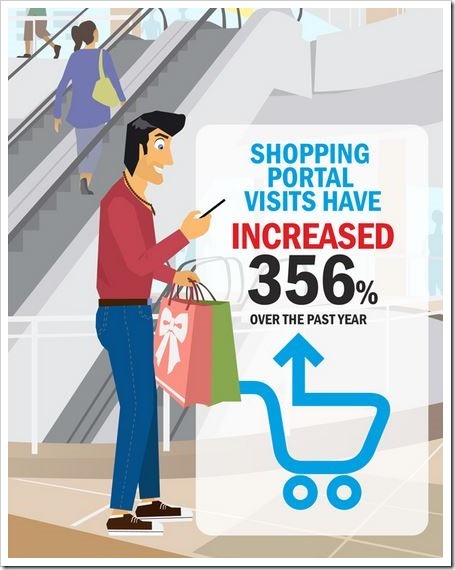 Flipkart, Amazon, and Snapdeal are some of the most accessed websites experiencing colossal growth. Visits to video websites over Opera Mini are increasing by 205% since 2013. YouTube is the most popular video sharing website followed by Dailymotion and Metacafe. Websites showing classifieds have also registered 150% growth as compared to the last year. Job portals and education related blogs are also experiencing huge growth. The Indian smartphone market is skyrocketing since the past few years. Entry-level Android phones are the consumers’ first choice as they provide all the essential features at an affordable price. Facebook is where most of the Opera Mini Android users spend their time while the rest of the time is utilized for browsing shopping portals, video sharing websites, education and job portals. The visits to video sharing websites have grown by 205%, but I believe that this number will go even higher with the advent of affordable 3G and 4G data plans. Where do you spend a major fraction of your browsing time? Don’t tell me that it’s on Google.